Facebook group messages are beginning to look a bit more like the news feed. On Thursday, Facebook introduced Messenger Reactions and Mentions, bringing likes and tags to the dedicated messaging app. 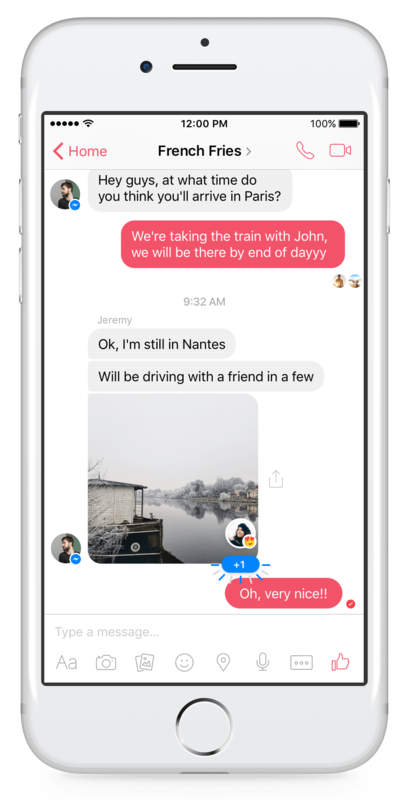 The two new features are designed to make group messages more fun, Facebook says, but they work in one-on-one conversations as well. Message Reactions allow users to react to a photo or text much in the same way they can react in the news feed. Tapping and holding on the message or photo brings up the emoji reactions, including love, smile, wow, sad, and angry, as well as the like and dislike options. While those reactions are the same ones found in the news feed, Messenger includes two more — yes or no. The new options allow users to tap and hold for the yes-or-no reaction, instead of typing out a response to the question. The reactions will pop up in a bottom corner of the message, with a tap on the emoji icon bringing up who responded in what way. If Messenger isn’t open, reactions will pop up as notifications. The second new feature makes it simpler to talk to a specific person within a larger group text. Using the “@” symbol and the user’s name (or nickname), tags will create a different notification instead of the typical message notification. Others in the same group will still receive the same notifications as before, but the tagged user will see a notification saying they have been called out specifically. Facebook says the new mention capabilities makes it easier to ask or respond to a specific person inside group chats. 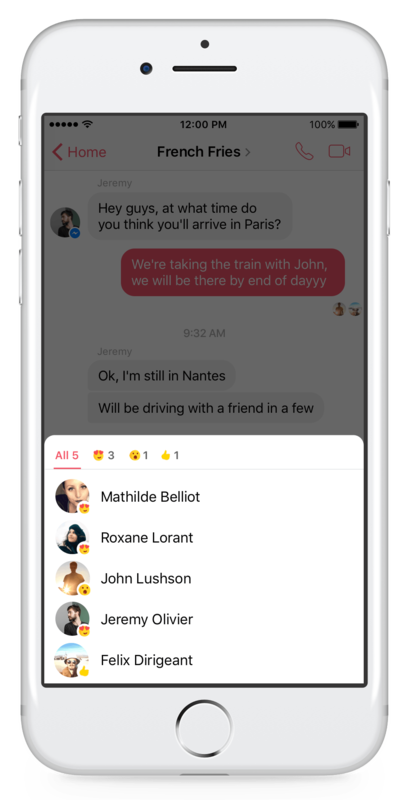 Both the mentions and reactions features will also be migrating over to Facebook’s professionally oriented messaging, Work Chat and Workplace. The new features are already rolling out to users with app updates on Thursday but international users may not see the update for a few days.